Lodroe, a Tibetan monk from Dza Wonpo monastery in Sershul, Sichuan Province, has been freed by Chinese authorities after a 10-year sentence for protesting Chinese rules. He had been imprisoned in March 2008 after taking part in Lhasa’s uprising at the time. Lodroe was arrested alongside 14 other monks, 2 of which are still in detention despite receiving a similar sentence of 10 years. Meanwhile, China has detained two other Wonpo monks last week and in December 2017 for reasons that remain unknown. This article was originally published by Radio Free Asia. Authorities in western China’s Sichuan province have freed a Tibetan monk jailed for 10 years for protesting Chinese rule in Tibetan areas, meanwhile taking into custody two others from the same monastery on unknown charges, Tibetan sources say. Lodroe, a monk from Dza Wonpo monastery in Sershul (in Chinese, Shiqu) county in the Kardze (Ganzi) Tibetan Autonomous Prefecture, was released on March 12 after serving his full term in prison, a Tibetan source living in exile told RFA’s Tibetan Service, citing local sources. “He had taken part in the March 2008 uprising in [Tibet’s capital] Lhasa, and was carrying the Tibetan national flag and calling out for freedom for Tibet when he was arrested,” RFA’s source said, speaking on condition of anonymity. “Because of the current clampdown on internet and other communications channels in Sershul, no word has been received on the present state of his health, or identifying the prison in which he had been held,” the source said. 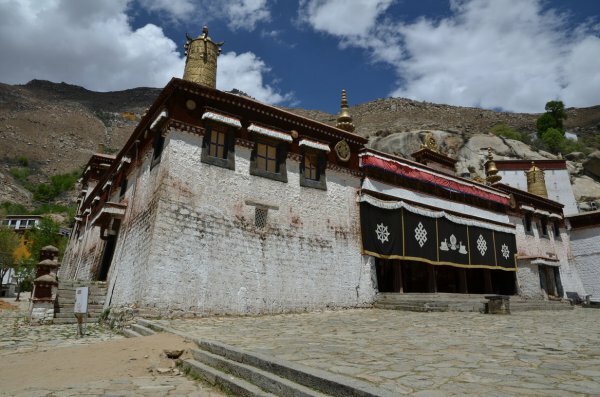 Lodroe was one of 15 monks from the Jadrel house of Lhasa’s Sera monastery who were taken into custody at the time of the March 2008 uprising, with eight coming from Wonpo monastery, one from Mangge monastery, one from Kashi monastery, and five from Lungkar monastery, the source said. Meanwhile, Chinese police have detained two other Wonpo monks, taking one into custody last week and another at the end of December 2017, RFA’s source said. “Lobsang Lhundrub from the Lower Dza Wonpo monastery was arrested on March 9, but the details are still unknown,” the source said, adding that another monk, named Choechok, was taken into custody two days after the Dec. 23 self-immolation of a Tibetan protester named Konpe. “The reasons for his arrest and other details remain unknown,” the source said. Already tightly restricted following widespread protests in Tibetan regions in 2008, Wonpo drew increased police scrutiny in 2012 when monks refused to hoist Chinese national flags at the monastery, the India-based Tibetan Centre for Human Rights and Democracy (TCHRD) said in an earlier report. “”The ensuing crackdown led to scores of arbitrary detentions, arrests, and unlawful searches of Tibetan homes by Chinese security personnel,” TCHRD said.